A unique proposal designed by Tim Steward Architects, will see a 405sqm block in Stones Corner become 7 apartments.  The project will compromise of 1 one bedroom, 1 two bedroom, and 5 three bedroom apartments. Each of the three bedroom apartments will occupy a single floor. The project, in Regina Street, Stones Corner, sits opposite Hanlon Park with easy access to both Buranda and Stones Corner busway stations. The triangular block has resulted in a blade like point at one end of the design. This blade houses the elevator and stairs. The development documentation indicates a number of materials have been chosen, generating a balanced and mixed colour palate similar to contemporary Japanese architecture. This is further complemented by planting on the podium and at street level. The design has a blade like tower housing the elevator and stairs. Ground level parking results in a podium for the development, which gives the appearance of a mass floating in the air. 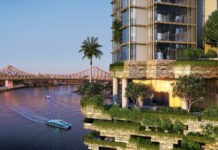 Each residents will have access to a roof top terrace, taking in partial city views and over looking Buranda and beyond. Each three bedroom apartment will enjoy views over Hanlon Park from 19m2 balconies. 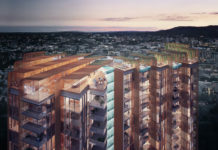 The apartments are quite substantial in size, with the three bedroom apartments coming in at 118m2, while the two bed will be 76m2 and the one bedroom a comfortable 50m2. This project shows what can be achieved on such a small block. 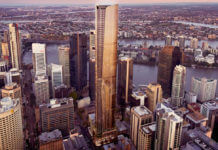 With a large number of projects being built in Brisbane, many of which are on larger sites, have little to offer in the way of three bedroom apartments. 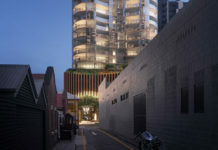 If one architecture firm can maximise a 405sqm site and still offer 3 bedroom apartments in the concept, imagine what can be possible on a larger site. The Roof top terrace and site plan. Source: Brisbane City Council.